Orion is a prominent constellation located on the celestial equator and visible throughout the world. It is one of the most conspicuous and recognizable constellations in the night sky. It was named after Orion, a hunter in Greek mythology. Its brightest stars are Rigel (Beta Orionis) and Betelgeuse (Alpha Orionis), a blue-white and a red supergiant respectively. Many of the other brighter stars in the constellation are hot, blue supergiant stars. 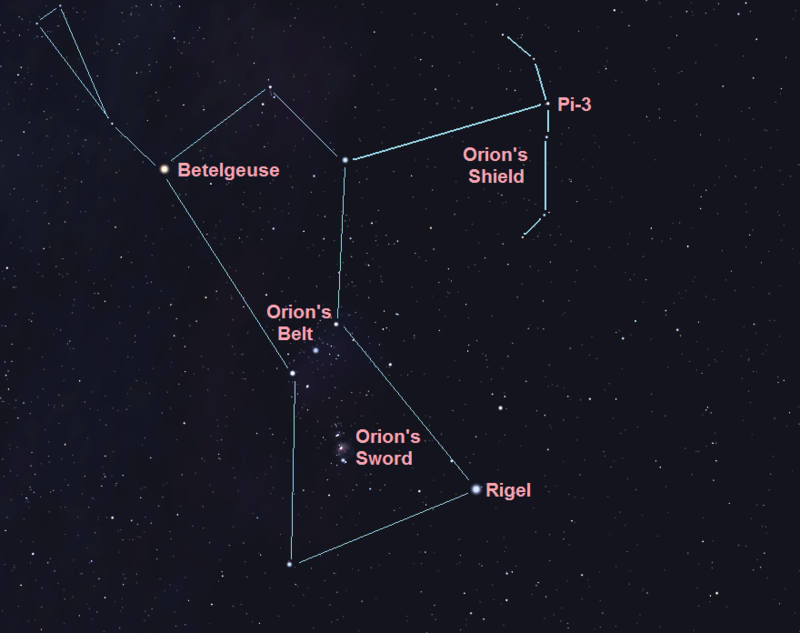 The three stars in the middle of the constellation form an asterism known as Orion's belt. The Orion Nebula is located south of Orion's belt.